I was asked to perform an energetic space clearing via distance for a client living in Denmark. While she loved her space, the surrounding garden with a huge pine tree, and being close to a fjord, her health had suffered since she had moved in. First she had a massive cold, and then asthma like symptoms ever since moving in. When I started to connect to the energy of the house, the first thing that popped into my inner eye was a beautiful bird woman. She said she was the “overlord” or “sylph” for this piece of land. A highly spiritual being overseeing all of nature. I had never seen anything like her before and was absolutely mesmerised. She explained there was a ley line running through the house’s entrance, which is an invisible energy line and that that was causing my client health problems. I asked for the sylph’s permission to remove that ley line and to move it to the left side of the house. She agreed and helped me. Next up, I built a link to Source in my client’s bedroom, with the intention that every night when she is in bed, her body will be recharged energetically, so as to accommodate her wish for more physical energy. I felt the best spot to be creative would be in her open living and kitchen area, so I invoked lots of creative energy in there for her to use. I had another “funny” message, which was to upgrade an electrical appliance. I had to laugh, too, as I had no idea she was sitting on the bed when I was working on it. 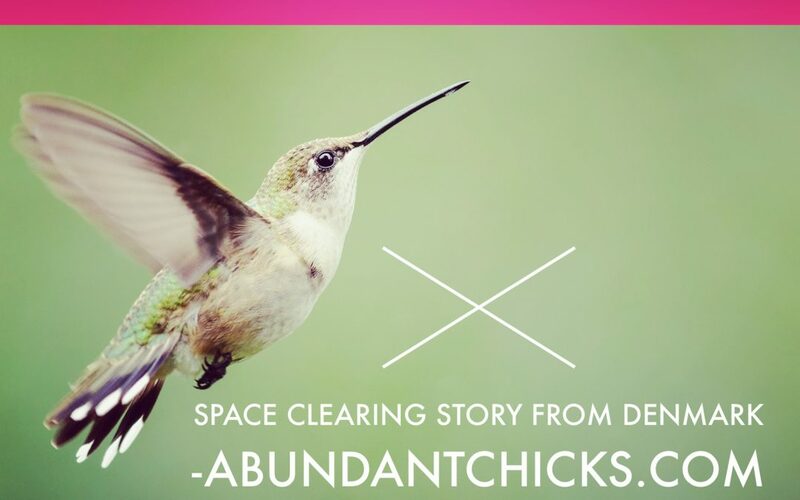 But it was a great confirmation of how powerful space clearing is. It takes into account my client’s wishes and it’s not just about the energy of the house, but also the person’s living in it. Her sylph was the protector of her entire property and piece of land and would protect her and support her in her creative endeavours. When I told her about the ley line, she said she had smelled a strong vinegar scent at the entrance and never knew where it came from. I’m waiting to hear from her now whether the smell subsided since the ley line was moved. And as for the electrical appliance she also had to laugh. She had indeed been thinking about upgrading her ceramic cooking surface as oftentimes it wasn’t working.